Enter your email address below to receive a notification when Karma Scents starts accepting new sign-ups! Enter your email address below to receive a notification when Karma Scents is accepting new sign-ups again. We ship our monthly boxes between the 15th-20th of the month ( and a little earlier in December). You will receive an e-mail with tracking information on the day that your box ships. The KARMAbox is perfect for anybody who wants to change the energy in a room. 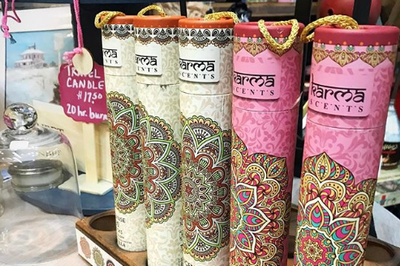 Our premium hand-rolled incense helps to foster creativity, relaxation and mindfulness through presence of mind and shifting of energy. 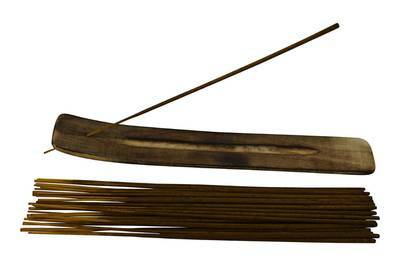 Like great music or art, the aroma of our incense will awaken the endorphins in your mind to help you achieve peace and relaxation. 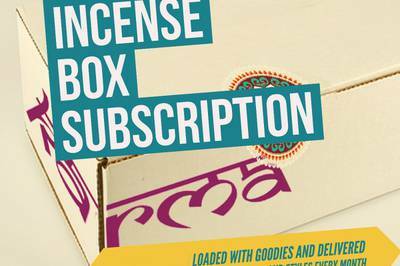 Small Karmabox: Contains at-least: a) two brands/ fragrances of incense b) one incense burner in a new style c) one other incense related item of the month. Could be cones, spirals, burners etc. Minimum of 60 sticks. 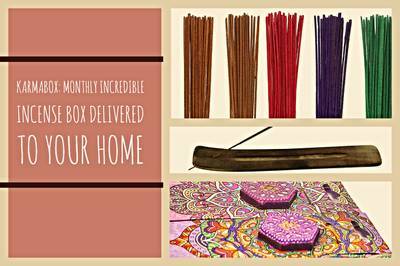 Medium Karmabox: Contains at-least: a) six brands/ fragrances of incense b) two incense burners in a new style c) 3 other incense related items of the month. Minimum of 180 sticks. Large Karmabox: Contains at-least: a) 10 brands/ fragrances of incense b) 3 incense burners in a new style c) 5 other incense related items of the month. 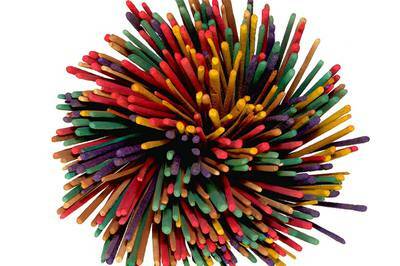 Minimum of 300 sticks. 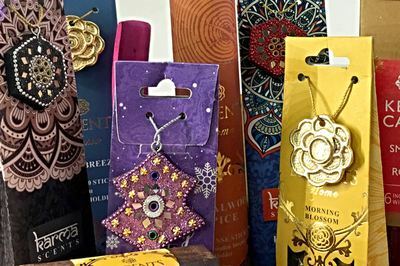 Contains gift sets, incense packs, cone packs, and more. Perfect for an office, for a family that prays daily or for a yoga studio! Always a great value and FREE SHIPPING! I ordered the medium size box and I am so pleased with my order. I received 6 different smells of incense sticks. 10 different holders. I received a very nice cone burner and another nice cone holder with 2 scents of cones. I am so surprised by how many holders and different varieties of holders I received. It’s nice to get a little surprise each month, but three months in and I’m already getting repeats. 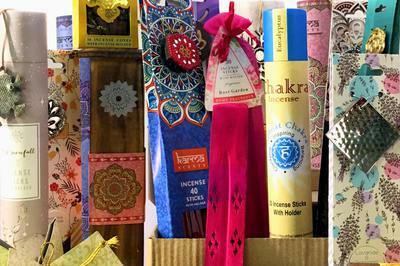 The incense isn’t great quality, and “Rose” has been featured pretty heavily in each box. The cone incense isn’t worth the effort it takes to get it burning. You could do worse for the price, but this isn’t massively impressive. Keeping my subscription because I like cheap surprises.